We offer a play-based, child-centered preschool program. Our developmentally appropriate classes allow children the chance to play and learn together every day. 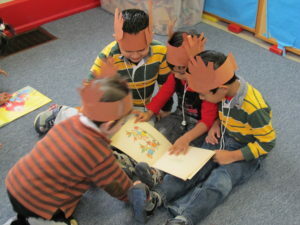 We prepare children for Kindergarten and beyond, helping them learn both academic readiness skills, social skills including group behavior readiness skills, which are equally important for students to learn. We give students a joyful first school experience that encourages them to love learning, and to look forward to school each day. Teacher lead activities including; calendar, weather, phonics, movement, colors, songs, counting, and letter recognition. Paint, markers, scissors, glue, and other various materials will be used to create works of art to take home. Our basement contains a rope ladder, gymnastics rings, ride on cards, a puppet theater & stage, climbing structure with slide, bouncy balls, and more. Teacher lead activities including story time and mystery bags. Our playground is equipped with a play structure including a bridge and slide, swings, a jungle gym, sandbox, see-saws, basketball hoops, tricycles, a nature area, and more. 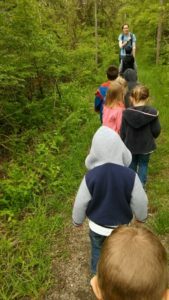 Each class takes several field trips that tie into the curriculum each year to places of interest in the Ann Arbor/Ypsilanti area and surrounding areas. Past trips have included the Leslie Science and Nature Center, the recycling center, a fire station, a Wild Swan Theater performance, Wasem Fruit Farm and many more. We also encourage parents and community members to come in and share their knowledge and expertise with our classes. Due to state seat-belt laws, parents are responsible for dropping off and picking up their children at the field trip location. Information on times, locations, and maps will be provided prior to the trip. Every attempt is made to hold field trips as close to the usual class time as possible, this may vary at times in order to take full advantage of the field trip content.